When it comes to helmet fit it is very important to make sure you get the right sized helmet for your noggin. It even goes a step further since different brands cater to different head types. 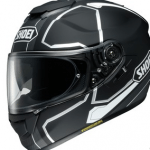 Shoei might design their helmets to fit a more egg shaped head while Arai or Scorpion might suit a more round head shape. 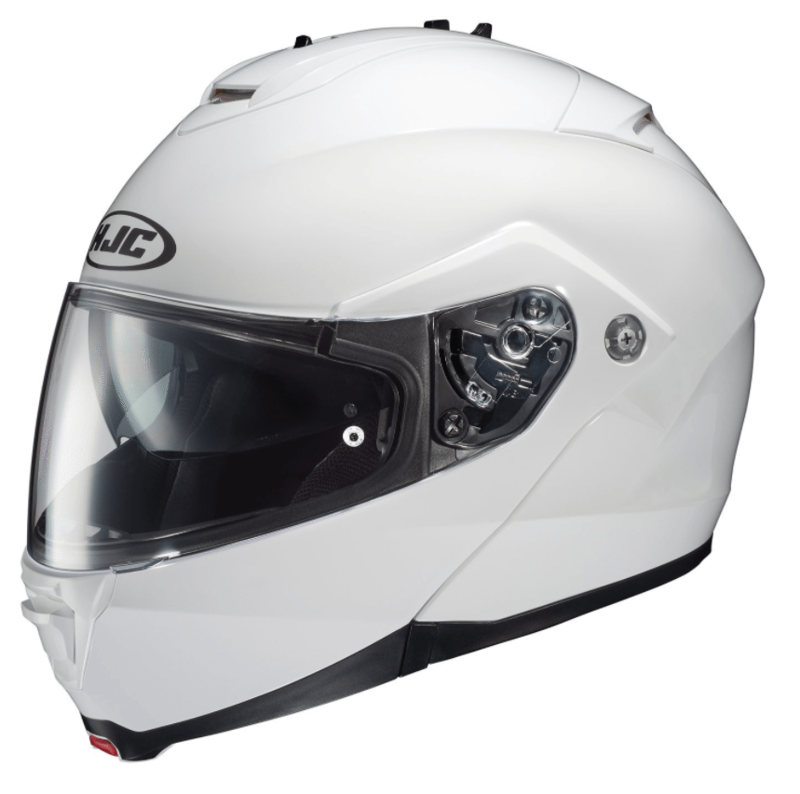 For example my head fits perfectly into a medium Shoei helmet; However when I chose a medium HJC to review I found it to be too tight at the crown of my skull! I had to exchange it for a large which was pretty surprising, I didn’t think I had THAT big of a head. Once I got the large helmet in the mail I tried it on and ran it through my various helmet tests. It passed all of them but now that the crown of my head was comfortable, the rest of the helmet was just a tiny bit looser than I would have liked. I’m positive this sizing issue is because of my head shape and not because of a helmet defect of any sort. After I found the right helmet size for the brand I was happy enough with the fit to go riding for a few hours. These aren’t really complaints, just observations since I didn’t notice any increased head or neck fatigue while wearing the HJC IS-MAX II. I think the added weight can be attributed to some of the cool features that makes this helmet stand out from the crowd. If you’re like me and you find yourself riding during in the blazing sun as well as during the cold night then you have had to deal with differing light conditions. I have a clear visor and a dark smoke visor for my day to day helmet but recently I have found myself just leaving the dark smoke at home and wearing sunglasses instead. This is do to the fact that it is cumbersome to carry a spare visor with you, plus switching it out can be a chore even if it only takes 30 seconds. This problem is the main reason why I knew I had to get my hands on the HJC IS-MAX II. 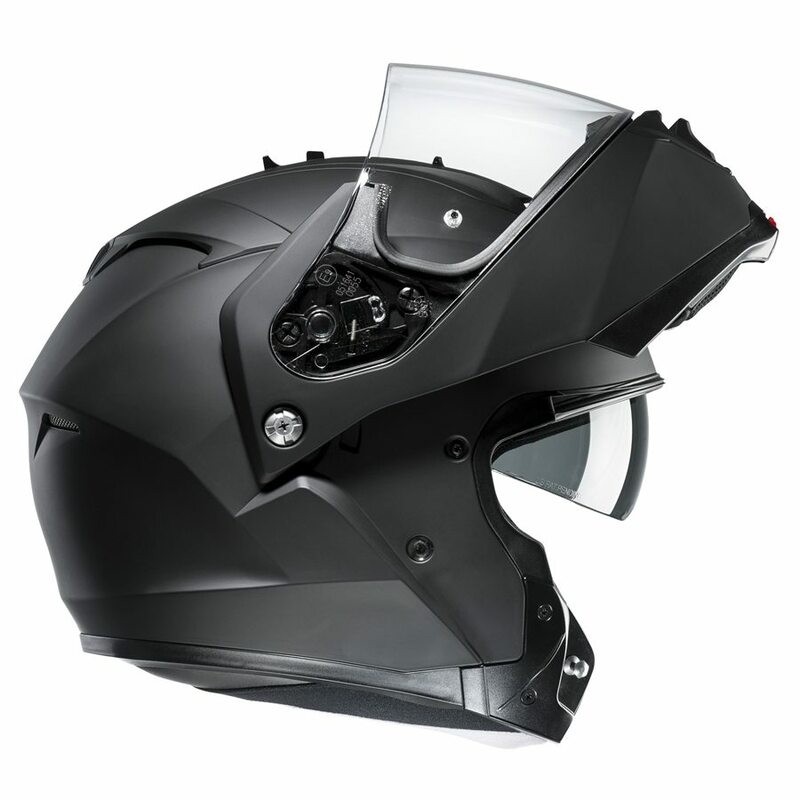 The HJC IS-MAX II has a flip down internal visor built into the helmet itself. No need to stop and take off the sunglasses or switch out visors, if I crest a hill and the sun is in my eyes it’s super easy to just flip the internal SunShield down to protect my peepers. The SunShield locks firmly into place and once you enter a more dimly lit environment a simple button press retracts the shield instantly. 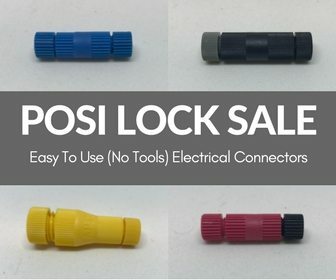 I absolutely LOVE this feature. Let me say that again for emphasis: I LOVE LOVE LOVE LOVE LOVE the SunShield!!! I honestly don’t know why more helmets do not do this, I would be willing to pay $100 extra just for this mechanism alone. 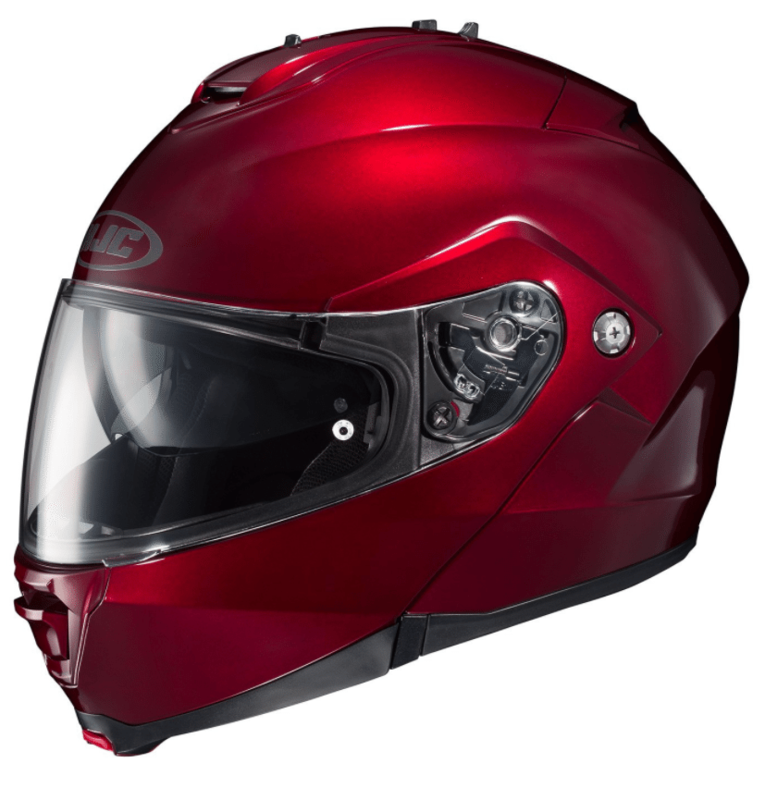 Besides the flip down SunShield the other area where this helmet shines is in the Anti-Fog department. 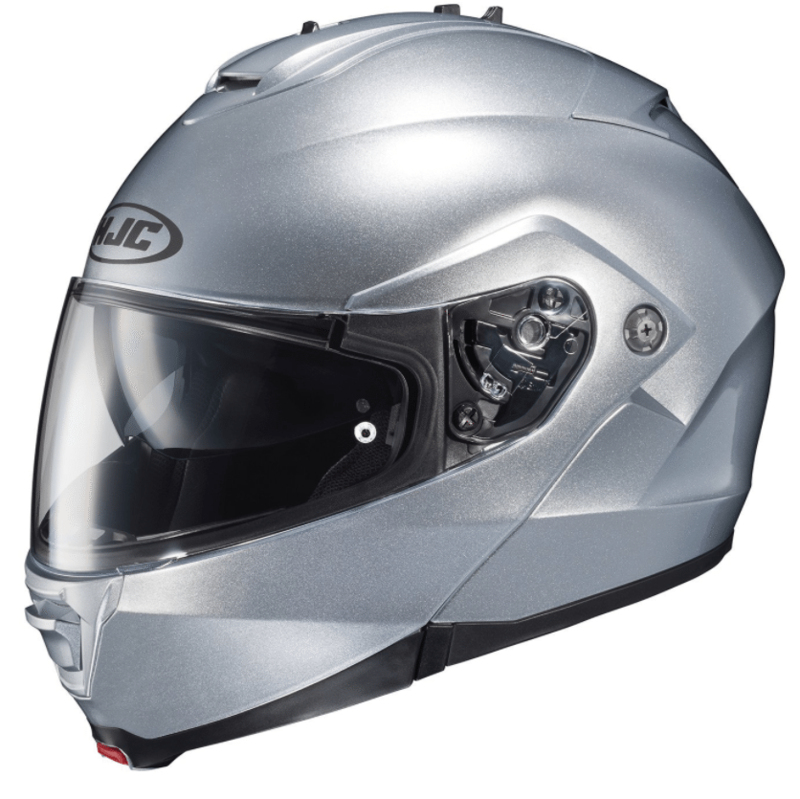 I have stated previously on BBM that, “All helmets fog up, but the better ones only do it when you are at a stop light.” Well I am now going to have to amend that statement because this HJC IS-MAX II just does NOT fog up! It comes with a fantastic breath guard that you can add or remove at your own leisure, but I recommend leaving it in place 24/7. With it installed my helmet didn’t fog up once, even when I was at a stop light for over a minute in the cold morning. 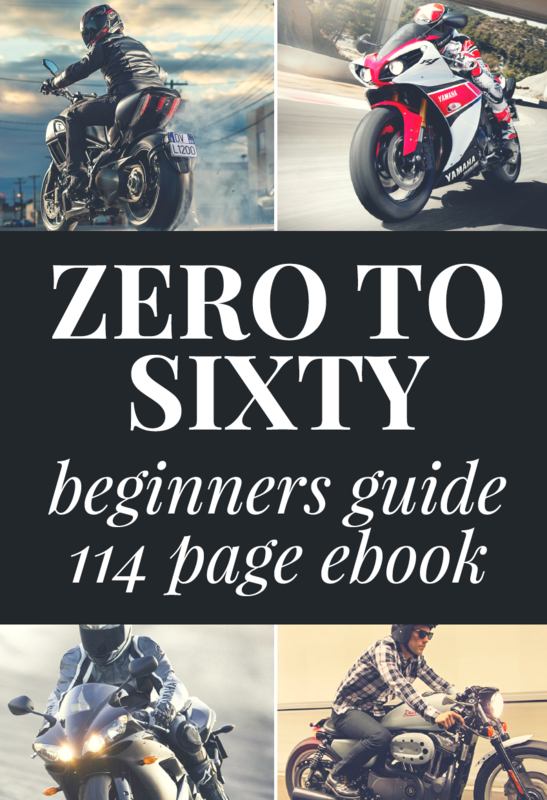 As an added bonus if you have the SunShield deployed and your fog guard installed you look more like a fighter pilot than a motorcycle rider. I am very eager to see how this helmet would perform in even colder temperatures, but I have no doubt that it would rise to the occasion. The great thing is the vents are not really needed because of the large amount of space between your mouth and the chin guard which lets tons of air cool your face. To illustrate this I’ll give you an example that might sound a little weird. When I wear my TR-Z I can usually pucker my lips together and ‘kiss’ the inside of the chin guard on the helmet because it is so close. After I put on the HJC IS-MAX II I noticed how much air was flowing from the bottom of the helmet and attempted to duplicate my ‘kiss’ test but failed! There was so much space between my lips and the helmet that I wasn’t able to touch. Finally I had to step it up a notch; I ended up sticking my tongue out as far as it would go and it just barely hit the chin guard. Yes I am aware that it might seem strange that I’m kissing and tonguing my helmets, but hey, I find my test to be more relevant than getting out a tape measure! If you find that too much air is being let in the helmet also comes with a windbreaker that attaches to the bottom of the chin guard. This helps alleviate some of the wind, but so far I have kept it off of the helmet. 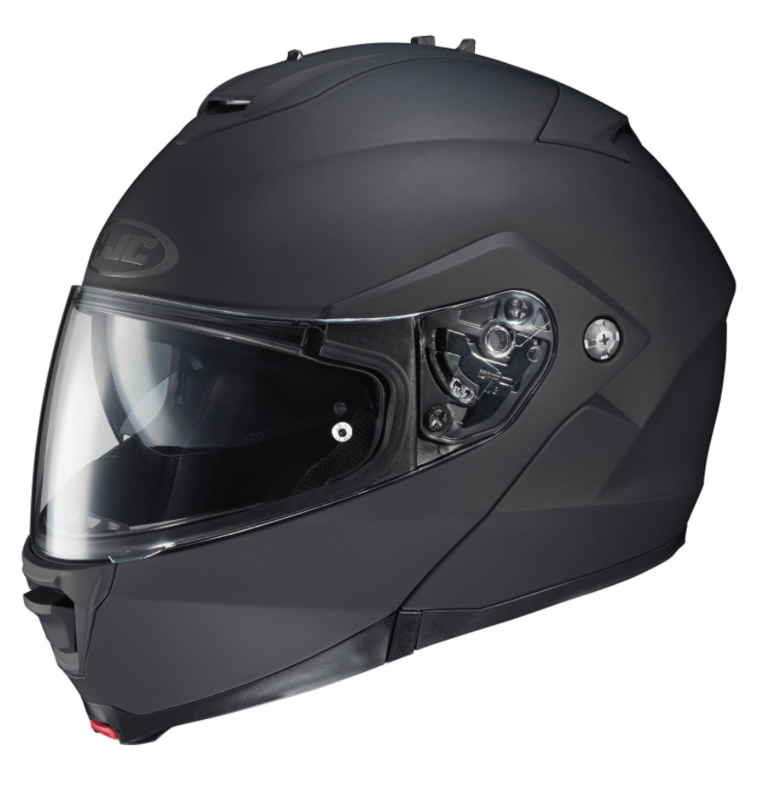 This helmet is a solid winner if you have a head shape that meshes well with it. The HJC IS-MAX II is inexpensive and has features that you won’t find even if you spend 2-3 times as much. I would wear this helmet every time I hopped on the bike if my head shape was just a little bit more inline with the way this helmet was built. One-Touch Integrated SunShield: Smoke-tinted SunShield deploys quickly and easily.